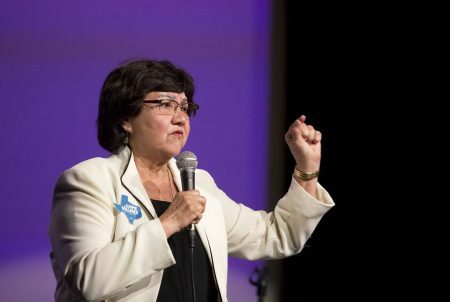 Lupe Valdez, former Dallas County Sheriff, speaks during a kickoff event for her 2018 gubernatorial campaign in Dallas on Jan. 7, 2018. 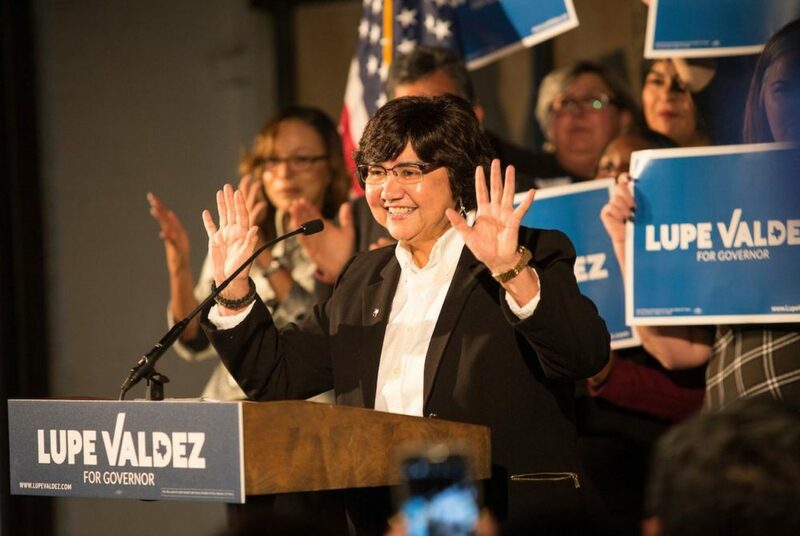 Lupe Valdez, the former Dallas County Sheriff, formally launched her Democratic bid for governor on Sunday, touting a campaign aimed at representing all Texans and listing a broad range of topics she plans to address as election season gets underway. Valdez, 70, announced late last year she was entering an already crowded and potentially competitive primary field. 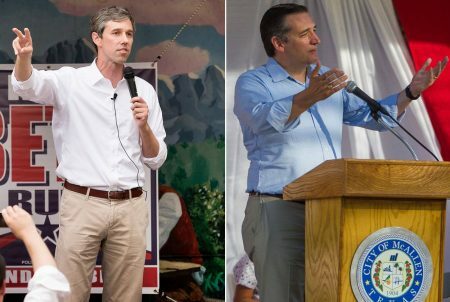 Ten Democrats are vying to face off with Republican Gov. Greg Abbott in the November general election, including Valdez and Andrew White, the son of late Gov. Mark White. 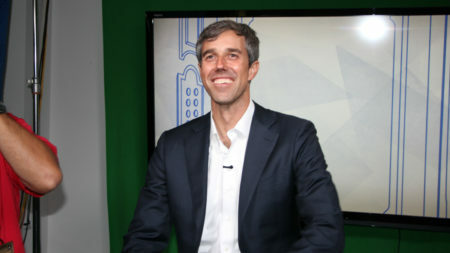 The eventual Democratic Party nominee faces long odds to unseat Abbott, who has a $40 million-plus war chest for re-election. In her speech, Valdez knocked state lawmakers over their 2017 legislative session — referring to them as “people who were supposed to be serving us doing more harm than good” — and mentioned the state’s overcrowded classrooms and raising the minimum wage as issues she hopes to address as governor. 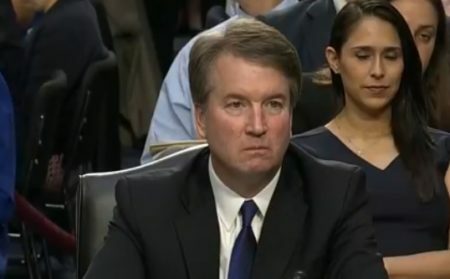 She also brought up Dreamers — undocumented immigrants who were brought into the country as children by their parents and who were granted relief from deportation under an Obama-era program — who she said are facing an uncertain future in Texas as Congress works to hash out a solution. Valdez has kept a low profile since she announced her candidacy late last year. Her rollout was simple when she filed for office at the Texas Democratic Party headquarters in Austin. After signing paperwork, delivering brief remarks and taking a few questions from reporters, she excused herself to catch a flight. Valdez, who drew national headlines when she was first elected in 2004 as the nation’s first openly gay, Hispanic sheriff, was serving her fourth term when she formally stepped down from the post. The Dallas County Sheriff’s Office oversees the second-largest county jail in Texas.